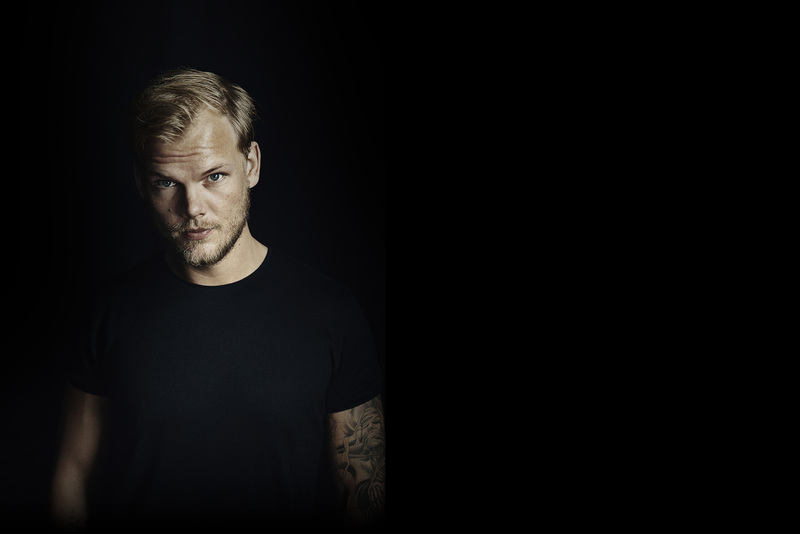 Take a few minutes and read the Avicii stories and memories people have shared from all over the world. Obrigado por me animar e alegrar meus dias, seja onde for que esteja, brilha! que Deus continue com você sempre! Hoppas du har det bra där du är nu, Tim! Din musik kommer alltid att vara speciell för mig. Vi fattas och saknar dig! Hi, Avicii was my first inspiration for edm beats and tracks. Have fun in the heavens. The world will remember you in the days and the nights for eternity. I saw an Avichii live gig years ago, the power, the lights, the production, the presentation, the pyrotechnics, the music, it blew me away. I had to be a part of it. I became a pyrotechnician because of Tim, for 6 years now I have been shooting Pyro at Festivals, I owe my career to Avichii. Tim, du är och kommer alltid att vara en stjärna. Lyssnat på din musik sedan jag kan minnas och kommer alltid att göra. After seeing true stories I realized what a wonderful human beeing was behind avicii. I can only vaguely imagine how bad this insanity must have been for you. Nethertheless you set a sign how important it is to take care of yourself. I don‘t know where your soul is now and if you‘re watching me down while I‘m writing this but I want you to remember Carl Jung‘s words : there is nothing wrong with beeing fragile. I hope you have found the peace you deserve. People will never fortget you. His song "LEVELS" introduced me to the world of EDM. Then after the release of his song "Wake Me Up" he became my favorite music producer of all time. Last year when after a long time he announced he will be releasing his new music in form of EPs and then an album , I was literally on the seventh cloud after hearing this news. But unfortunately dreams turn to dust. He will always be in our hearts through his music. Rest In Peace Tim. I pray you have found the peace you desired. Such a beautiful soul. A smile that lit up the world. An energy that only you held. You are so loved by everyone. Rest in peace beautiful Tim. Entertain the heavens. Hope you’re dancing with the stars. Hello to the 1% that reads this. You are awesome and I hope you like Avicii. till we hear the final call , let's pretend you'll be forever in my arms AVICII !! Your music never DIE !! Thankyou so much for your amazing music !! My entire family listen to his songs. His songs give us happines and joy and they we're part of our life. I've started producing because of him and my family is happy to see me do this for myself. When I heard of his dead I felt lost, he was my mentor, he was Everithing for me. i cried a lot. I lost a brother. My brother. He was an amazing DJ. He introduced me to EDM. One of the finest. Your musics told me that you never leave us. I don't have any special pic of you but you are the first EDM artist who brings me a lot of feelings and the one who brings me to EDM. Hope you have a best life in heaven! When ever I felt down you've been there for me. Thank you. Just wanted to say thanks for being there for millions of people when they needed it. You really helped, healed and inspired a lot of people, myself included. May your music live forever, and your life never forgotten. Thanks man. "Right where i was founded, is right where i’ll be found dead" I'm going to bought you flowers sooner or later. Listening to you now. Feeling your music. Your strength. Your difficulty. Thank you for your music. I started to listen to avicii when i was 11. He instantly cautivated my ears and he was my inspiration when making music. I promissed i would meet him one day. I started working on music and instantly realized that i was inspitating on him. "one day" i thought, i would show him how he influenced me. I still can’t believe you’re gone. I heard over the radio on my way home from school that you passed. It took a lot for me to not just break down right then and there. You helped me through so much and you never knew. Thank you Tim. I can remember the first time I ever listened to Tim. I remember that my brothers sended me his song "Hey brother". It is our song till' today. I liked Avicii a lot! But I am not sad, because legends never die! Todos los días escucho tu música.......fuiste un genio y tu música perdurará en el tiempo.El mundo moderno destroza a las personas introvertida y especiales. Se que conociste la clasificación de personalidades de Jun y te impactó. A mí también. Solo espero que hayas encontrado la paz que anhelabas. Siempre en mis oraciones. I've always heard Tim's music, and I loved it all. He was my favorite music producer and dj. I never got to see him play tho... I remember how sad I was when he retired. But the pain when I heard of his passing was incredibly huge. I was truely sad. Tim, your music always made me happy, and I will never stop listening. I hope you have found peace, and that you are happy now. May you never be forgotten, and may you rest in peace. El día que te fuiste fue muy triste para mi. Cada vez que escucho tu música se despiertan en mi emociones y sentimientos que no soy capaz de explicar, y eso es algo precioso. Espero que donde quiera que estés seas feliz. Descansa en paz compañero. I love you, dear brother. My eyes are wet as i type on my keyboard. your music will stay with me always. I feel priveleged to have existed in a time where you thrived. Thank you God, for allowing me the intelligence to understand the music that was created by AVICII. Avicii t'étais mon idole, un modèle pour moi. Ta musique m'a changé a tout jamais et j'en suis reconnaissant pour la personne que je suis devenu. Lay Me Down sera toujours ma chanson préféré, Malgré les circonstances, malgré les mauvais moments ta musique a toujours sur me faire donner raison. Maintenant d'autres personnes comme moi vont devoir faire la suite sans toi. Merci pour tout ce que tu as fait et sois libre au paradis. Legends never dies. ЦЕ найкращий діджей усіх часів ))завдяки йому я проживаю кожен день як новий ))) Його музивка піднімає настрій і прикрашає це буденне життя ))) МИ БУДЕМ ПАМЯТАТИ ТЕБЕ ВІЧНО!!! Məncə seni hələ çox dinləyəcəylər və hələki sənin musiqini dinləyən olacaq sen yaşayacaqsan. I will continue your journey brother.. I promise that..
Tim is being a life safer for me i just can't imagine my life without his music and his creation.. Thank you for everything brother.. Thank you avicii.. Thank you for fill my life with positivity and live..
Avicii's songs inspired me to no end. His music is and will always be, in my opinion, the best, both in terms of sound and meaning. He will always be a role model to me, and his passion for music will always be one of the most inspiring things that I believe in. I remember first hearing levels when I was 15. His album believe was the first edm album I listened to from beginning to end . It had such a lasting impact on the person I am today. I believe he died having realised his ambitions in a life led to the fullest. I'll always love you and miss you, Tim. Ben. Din död förkrossade mig. Men din musik fick mig att förstå storheten i elektronisk musik. Den kommer förevigt leva kvar i både minnen av ungdomen och in i framtiden. Tack för det! Vila i frid. Avicii i hope you found peace. I started listening to your music during a hard time in my life. When I didn't know who I was. I will forever celebrate the legacy you left. To those going through depression, I leave you these words. I quote " No path isn't worth walking. For the darker the journey, the more satisfying the destination." You are always in my heart! Unforgettable personality!